The thought of home conjures up images of warmth, comfort and that special feeling of belonging. Winter is a time when home is especially important, as it shelters us from the cold and wet. And as we toboggan rapidly into winter, now is the perfect time to consider how to make your home a warm, happy and healthy environment for your much-loved pooch. Keep on walking! Having a pet dog can really help motivate you to keep active throughout all seasons and it is equally crucial for them to receive regular exercise as well. Even if it’s raining outside, consider pulling on a raincoat and enjoying a run or brisk walk with your pooch — just have a towel on standby when you get home, to dry down his or her coat. Mental exercise: Fill a treat ball with his or her favourite treat and seal off with some peanut butter — this will keep your dog busy and mentally stimulated. You can also prepare a treasure hunt consisting of treats placed in various locations around your home and backyard; ideal to keep your pooch entertained while you are at work for the day. Keeping a happy outdoor dog: While some breeds are more resilient to cold temperatures, pets should not be kept outside for long periods during freezing temperatures. Like humans, they too can suffer from hypothermia and frostbite. If your dog needs to stay outside, draught-free kennels that are protected from the elements, with bedding and blankets are fine. For extra warmth, you can look into fitting the kennel out with padded walls. Consider purchasing a coat or jacket too, particularly for dogs with a lower percentage of body fat or short hair. Keeping a happy indoor dog: Try to have a heater-free zone for your pet, such as a tiled area your dog has access to. 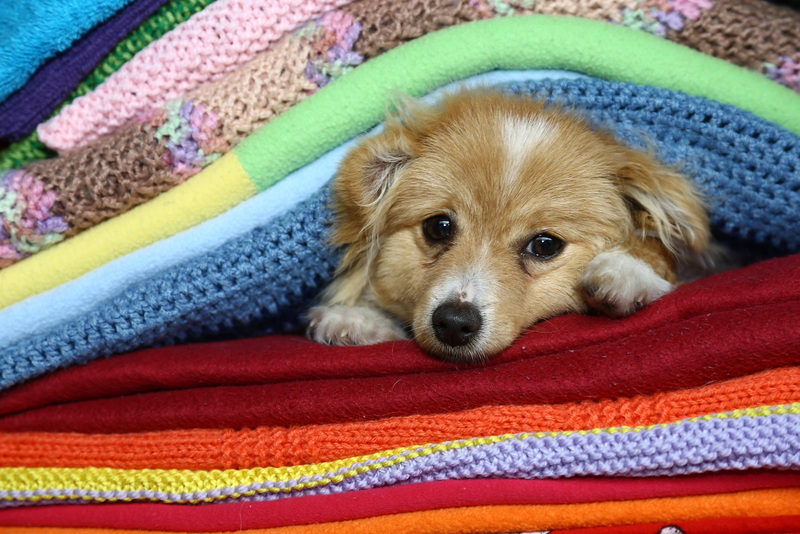 While you may feel comfortable, your pet may not enjoy an overheated house. Senior Dog: Older dogs feel the cold more, as winter can exacerbate their arthritis and osteoarthritis. Seek advice from your vet about medication, treatment options, and look at ways to keep your arthritic dog healthy and warm. Consider purchasing a heated bed and use ample blankets to keep them comfortable. Hydration: Always have water available and accessible. Even though it may be wet and cold, your pet dog needs to remain hydrated, particularly if he or she is in an air-conditioned environment indoors. Keep up grooming: Avoid trimming, shaving or cutting your dog’s hair, because a dog’s coat is a source of warmth during winter. You should, however, keep up regular grooming to rid your dog of any matting. Long-haired dogs should have excess hair around the toes and foot pads trimmed to ease cleaning from walks out in the mud. For more information, contact The Lost Dogs’ Home Frank Samways Veterinary Clinic. Keep an eye out next week on The Lost Dogs Home website for handy tips of caring for cats this winter.